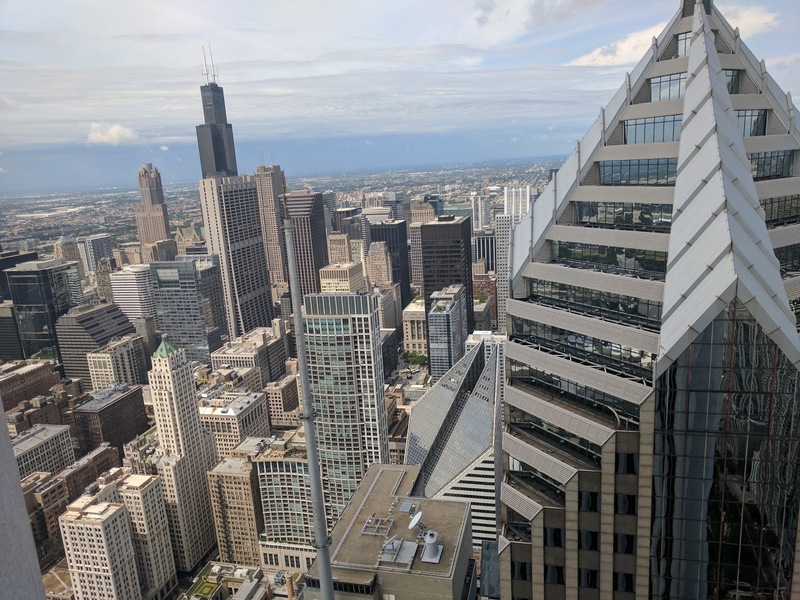 There's a new view from my spot in the Aon Center on Randolph Street. For the past few years, I had a south-facing view. Now? I'm looking due west. The view isn't the only thing that changed, but I think I've pretty much adjusted to the new spot. While this new view has some interest, there's nothing quite like looking south from Aon to see the lake and the museum campus. I miss it every morning.